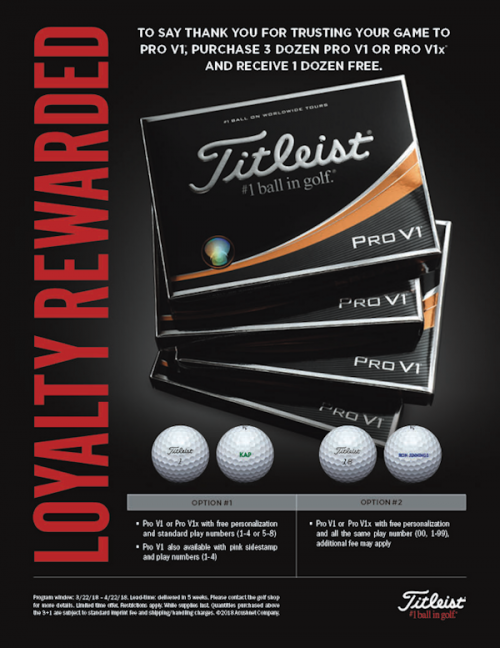 The Titleist Loyalty Rewarded special promotion only happens a few times each year. And, now between March 22 – April 22, 2018 you have a chance to not only SAVE BIG on the golf ball played by over half of all golfers, but to customize your golf ball to suit you. Please click on the big green button below to download the purchase and customization form. Full instructions are included to help you enjoy one of the best golf savings you’ll experience this year.